How Do You Get To The Woodland Critters? 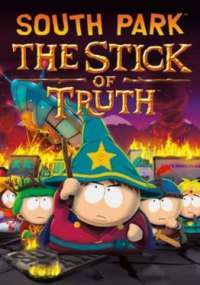 There is a trophy for finding the woodland critters in the forest in South Park: The Stick of Truth, but I'm not sure where they are. The forest seems to get stuck in an infinite loop preventing me from ever getting anywhere. How do you find the woodland critters? This part reminded me of the forest in the original zelda game on the NES. Once you get the pattern right its glory days. Hard to figure this one out for sure. Here is the pattern you need to follow to find the woodland critters.